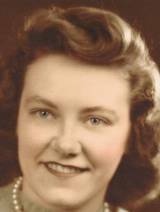 Jane A. Toomey, 86, of Main St. in Lee, died Saturday at The Village at Laurel Lake in Lee. She was born in Pittsfield on May 14, 1924 the daughter of John and Mary Bowman McKeon and was a graduate of Pittsfield High School. In the late 1940s she worked as a secretary for at the General Electric Co. in Pittsfield After her marriage to Daniel B. Toomey on January 31, 1948 she made her home in Pittsfield and Lenox until moving to Lee in 1964. She was a communicant of St. Mary's Church, a Cub Scout Den Mother and a devoted wife, mother and grandmother. Besides her husband she leaves her five sons, Kevin P. Toomey and his wife Valerie of Pittsfield, James M. Toomey and his wife Donna of Lee, Brian J. Toomey and his wife Lina of Pittsfield, Patrick K. Toomey of LasVegas, and Thomas F. Toomey and his wife Karen of Lee, a daughter, Kathleen A. Leslie and her husband George of Laceyville, PA; one brother Richard McKeon and his wife Noreen of Youngstown, NY and her sister Eleanor Turner and her husband Peter of Rensselaer, NY; eleven grandchildren: Sean, Colin, Shannon, Kayla, Laura, Ryan, Danielle, Thomas, Michael, Trisha and Amy; one great grandchild, Quinn. She was predeceased by her sons Daniel and Michael and her brother Joseph. The Funeral will be held Wednesday morning at 11am at St. Mary's Church in Lee with the Rev. Mark Glover associate pastor officiating, burial to follow in St. Mary's Cemetery. There are no visiting hrs. Friends wishing may make donations to Hospice Care in the Berkshires in care of the Kelly Funeral Home 3 Main St. Lee, MA 01238. Jane's family would like to thank all the staff at The Village at Laurel Lake for their years of care and kindness.